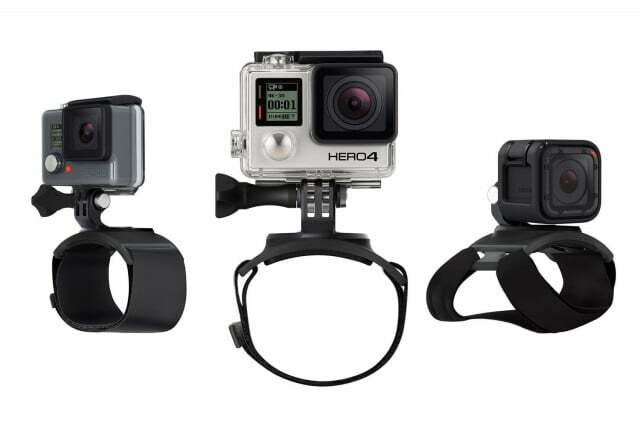 Besides the new Hero4 Session camera, GoPro is introducing several new accessories for its action cameras. 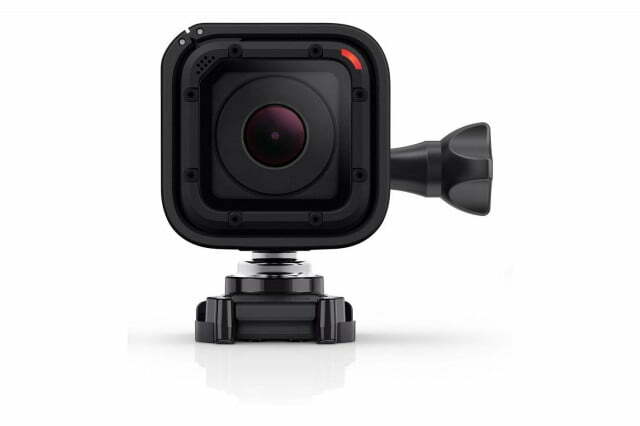 Two accessories are designed specifically for the new Session camera. The Ball Joint Buckle has a rotating axis to offer more flexibility in shots. You can change the perspective from a single mounting position. 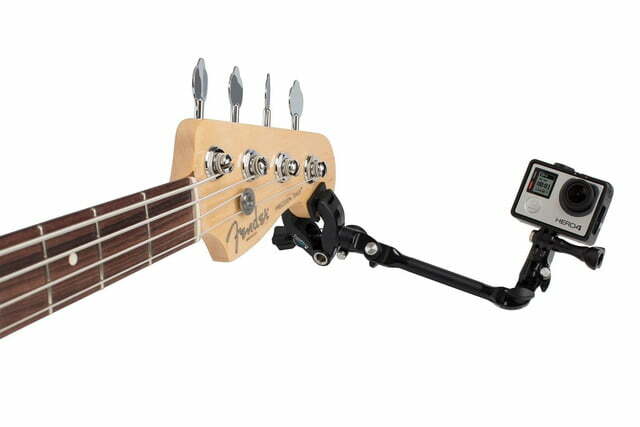 The Ball Joint Buckle is included with every Session camera. 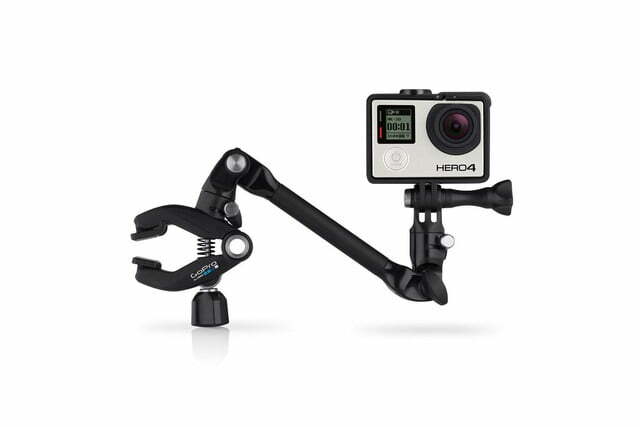 GoPro Ball Joint Buckle mount for Hero4 Session. While the Session is waterproof, it doesn’t float on its own. 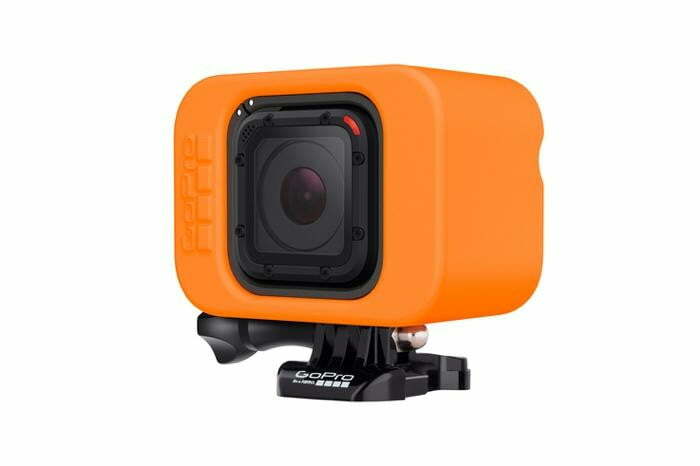 With a bright orange exterior that’s easy to spot – should it fall out of your hand – the Floaty encases the Session to give it some buoyancy. It also works with the Ball Joint Buckle and other mounts, so there’s no need to remove it out of the case. 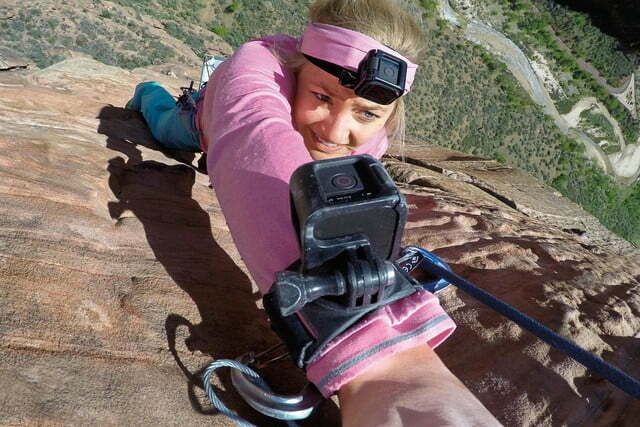 When you want to wear a GoPro camera on your arm, wrist, hand, or leg, the Strap is an ideal mount. 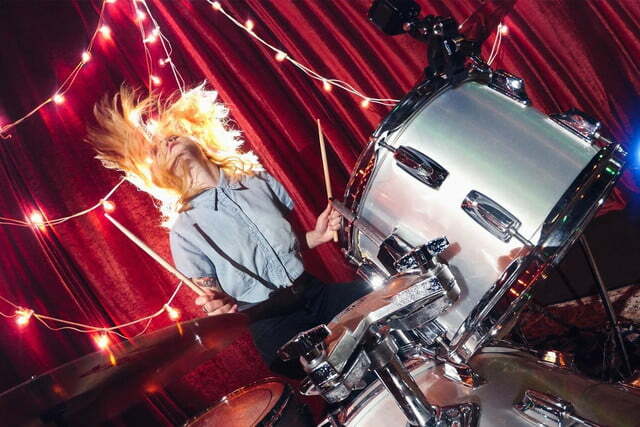 The curved design helps the strap fit securely against rounded body parts. 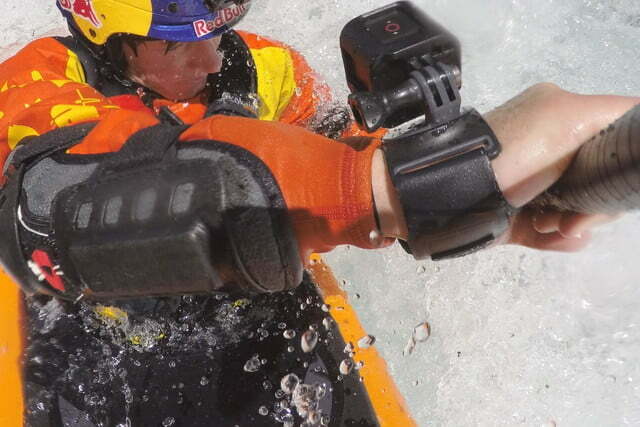 The waterproof Strap lets you rotate the camera 360 degrees and tilt it up and down, without removing the camera. GoPro Strap with the Hero, Hero4, and Hero4 Session. 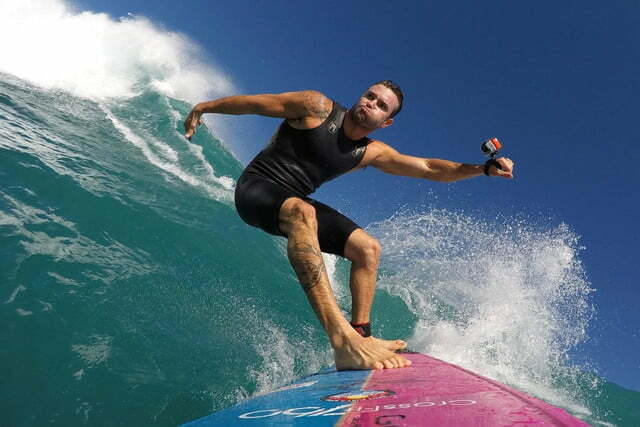 GoPro cameras are used for all sorts of activities, not just the action, adrenaline-filled ones. 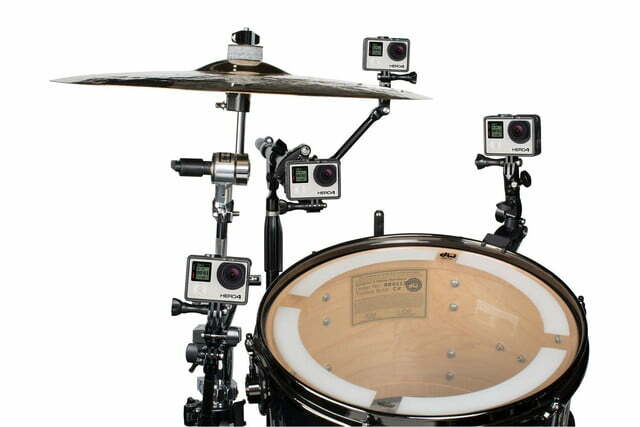 For musicians, The Jam is a boom mount that attaches your camera to stage equipment, such as guitar headstocks, drum hoops, keyboards, brass instruments, or a mic stand. 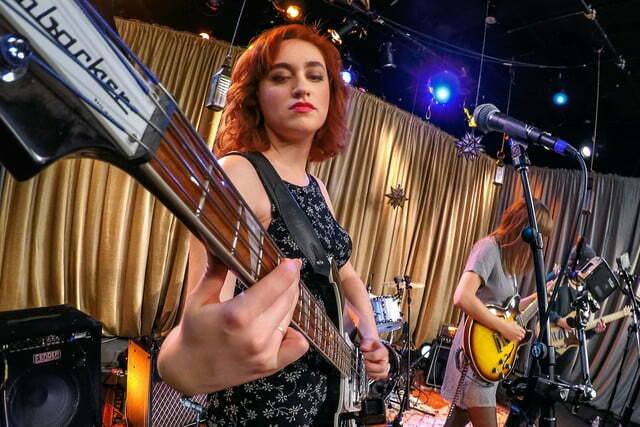 Great for indie bands or small music venues, it allows you to record a live session without cumbersome video equipment getting in the way or hiring a cameraman. There are plenty of camera cases from third-party makers, and some even designed specifically for GoPro cameras. The Casey, however, is the first from GoPro: a water-resistant case that accommodates multiple cameras and accessories – perfect for filmmakers. Velcro-sectioned compartments adjust to your gear, while the padded interior cushions them. Even when fully packed, it will inside a large backpack. 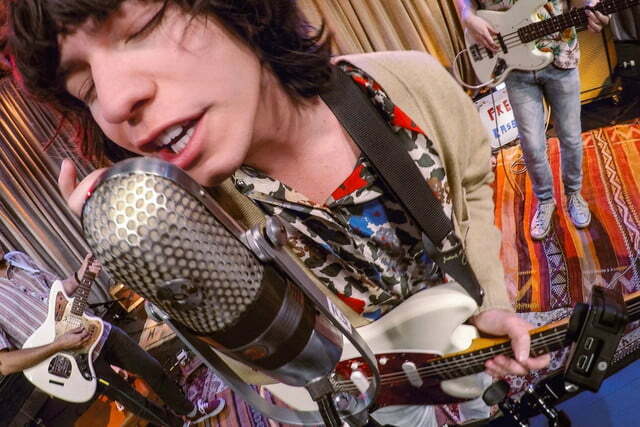 The Session has dual mics that help cut wind noise, but iother GoPro cameras need a little help at times. 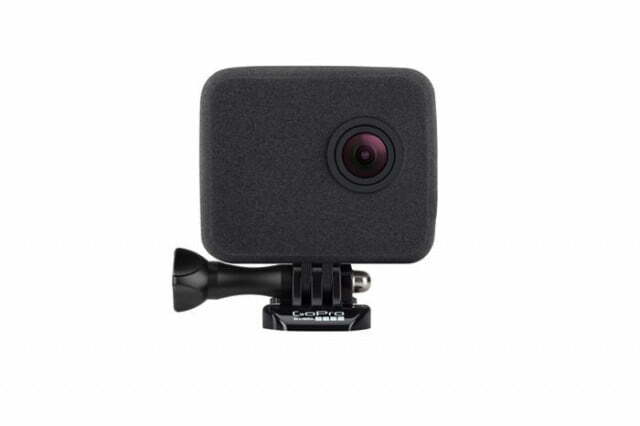 Wind Slayer is a foam-based windscreen accessory for the standard Hero4s, Hero3+, and Hero3. 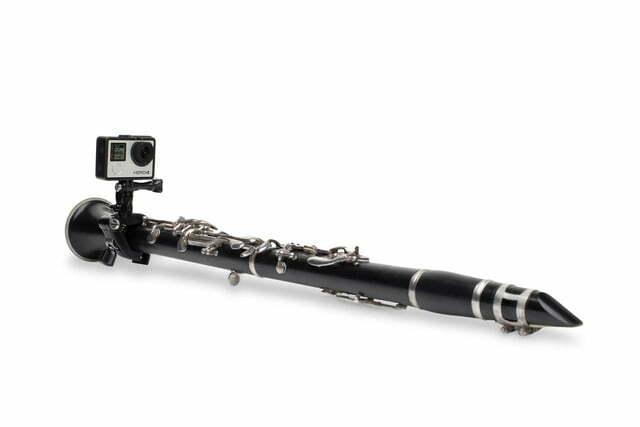 The foam casing reduces wind noise so the camera can record the sounds you’re hoping to capture. Our Sun, like other stars, gives off gases called stellar winds which are important in star formation. Now it appears that these winds have another important effect: warming the atmosphere on planets like Jupiter. The Curiosity rover's adventures on Mars continue with an exploration of the clay-rich bedrock in a part of Mount Sharp. Clay minerals are of particular interest as they could indicate that there used to be water present on the surface.